6 Modules and 41 Lessons which you can access 24/7 - learn hula hoop anywhere any time. 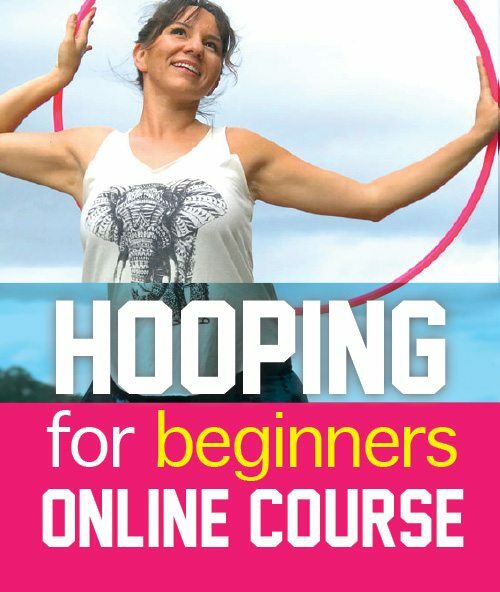 VIEW hooping for beginners course listed lessons Reduce stress, experience more joy and increase your physical fitness through this beautiful and freely accessible movement. You will be hooping around your waist, hips, chest, shoulders, knees and feet in no time. My Hula hooping for beginners classes covers a collection of hoop dance moves and beginner foundations, it is an excellent place to start your hoop dance practice and offers advanced techniques for each move to help you grow. I cover the necessary techniques with you combining on body and off body moves which you will get you sweating, dancing and having fun whilst exercising.